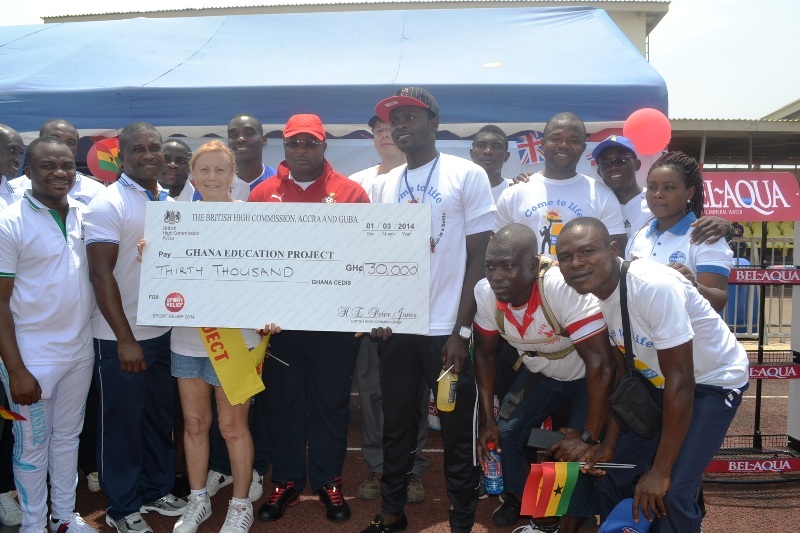 As part of this year’s BBC Sport Relief Campaign, the British High Commission (BHC), Ghana in partnership with the Ghana UK Based Achievement Awards (GUBA) organised a special sporting event at the El-Wak Stadium on Saturday 1 March, 2014. 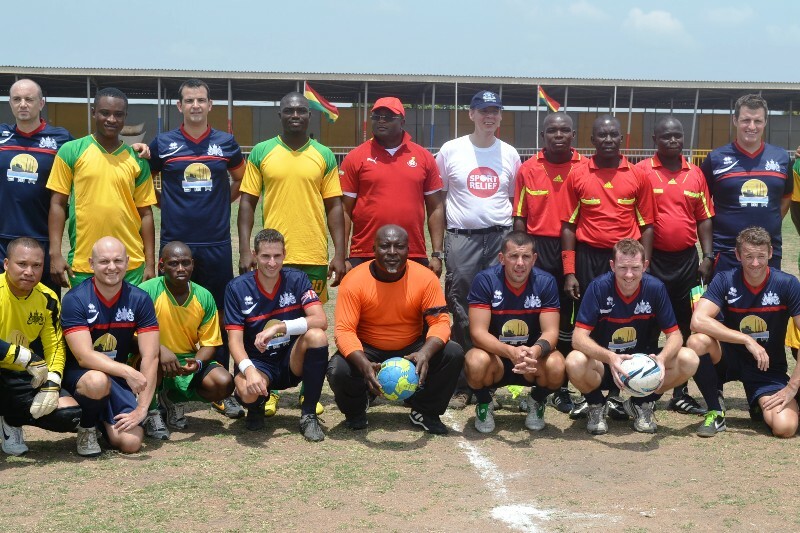 As part of this event, the British High Commissioner to Ghana, H.E Peter Jones, led the BHC football team in a football match with the Ministry of Youth and Sports football team who were led by the Minister of Youth and Sports, Mr. Elvis Afriyie Ankrah. Sport Relief is a biennial charity event, led by the BBC, under the stewardship of their Comic Relief campaign. Sport Relief brings together the worlds of sport and entertainment to raise money to help vulnerable people in both the UK and Africa. At the heart of the campaign is the Sport Relief Mile. To mark the event, H.E Peter Jones accompanied approximately 150 participants in the Sport Relief Mile. The BHC with support from Armajaro Group, Crown Paints, Blue Skies, Invest in Africa and Bel Aqua raised GHC 30, 000. This included a donation of GHC 8,000 worth of paint from Crown Paints. All proceeds from this event were donated to the Ghana Education Project (GEP) which is an NGO that promotes education and equality for girls and women in Nkwanta in the Volta Region of Ghana. The football game finished 1-0 in favour of the BHC football team. Tags:2014 Sports Relief Charity event, British High Commission, British High Commissioner to Ghana, Ghana Education Project, Ghana UK Based Achievement Awards (GUBA), H.E Peter Jones, Mr. Elvis Afriyie Ankrah. 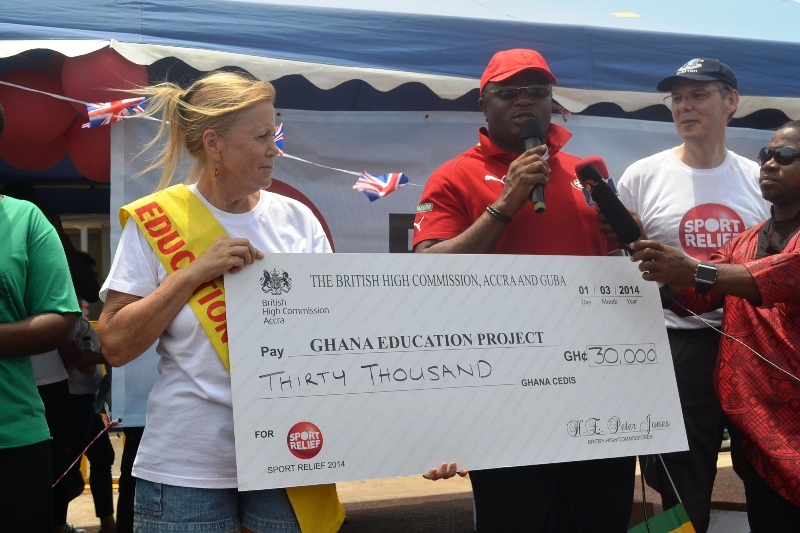 British High Commission raises GHC 30 000 for the Ghana Education Project through the 2014 Sports Relief Charity event 0 out of 5 based on 0 ratings. 0 user reviews.